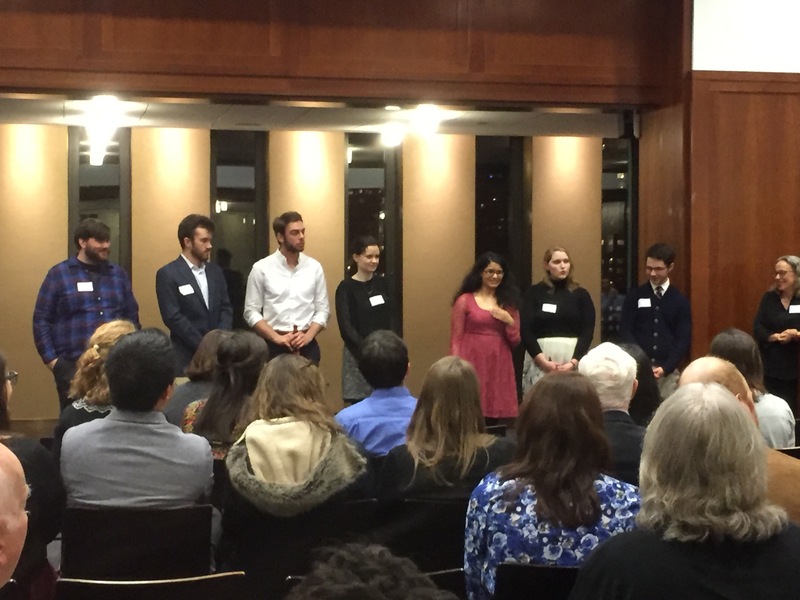 The Honors Program hosted a lively alumni reception at the Lincoln Center campus at the beginning of March, to which we were excited to welcome 60+ alumni from class years 1957 through 2016. The alumni enjoyed drinks and hors d’oeuvres while mingling with classmates and honors students from different decades, as well as honors professors, Dean Maura Mast, the Dean of Fordham College, and Dr. Eve Keller, the Director of the Honors Program. The event also included a welcome from Dean Mast, some words on the current program from Dr. Keller, and highlighted accomplishments and experiences in honors from current students—accomplishments ranged from being recognized for work towards women’s equality at an event where the student met Joe Biden, to being admitted to Columbia medical school. 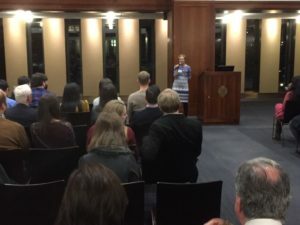 The event was a joyful one for alumni to reconnect with old friends and learn about the honors program in 2017. We’re looking forward to hosting more fun alumni events in the future.